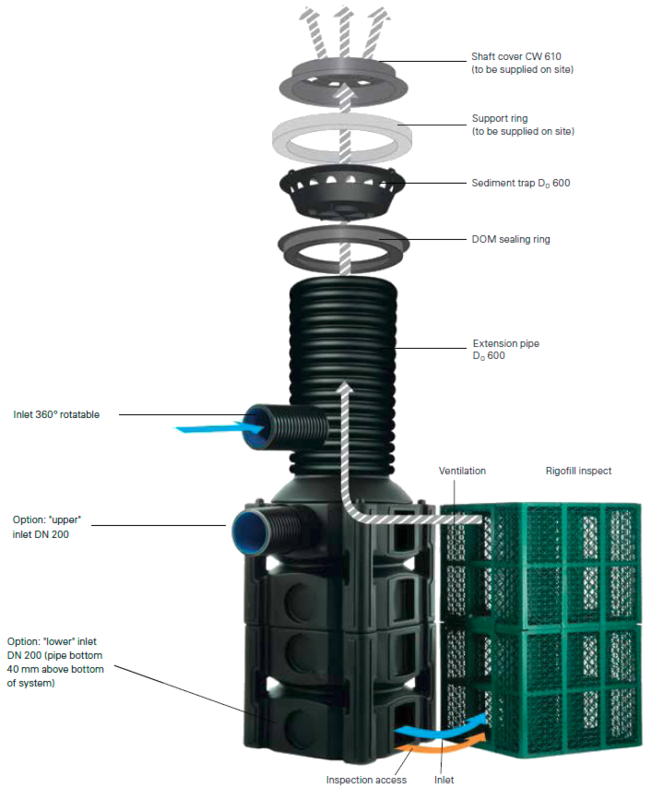 The Quadro-control® chamber can be used with the Rigofill® module in order to meet the expectations of each specific project. 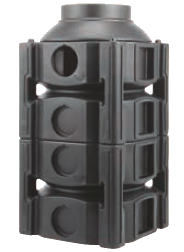 This PE Quadro-control® chamber allows access to the retention basin for inspection and cleaning work. It can also be used to ventilate the basin and it makes possible for diameters up to 600 mm to connect to the basin. 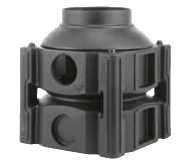 Each chamber has an "arrival side" and three "tunnel sides" to connect Rigofill Inspect® modules. 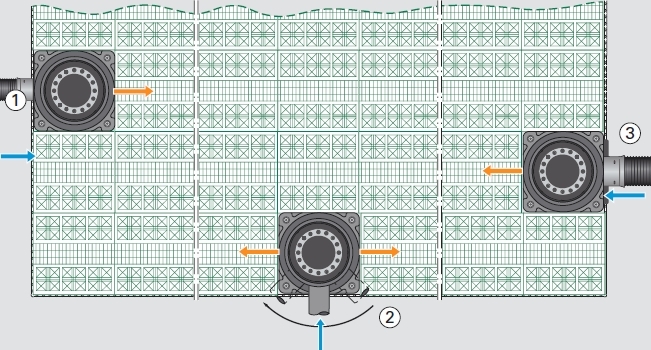 Thanks to the dimensions compatible with the Rigofill Inspect® module and the modular construction, it integrates, without problem, into the basin structure and so offers freedom of choice as to its location. An extension with or without passage. A collection tray located on the upper part of the extension to recover unwanted solids. A sealing ring between the extension and the concrete ring. A class D400 manhole cover. There are standard half-, one-, two-, and three-level chambers that include a base body and a chamber cone as shown in the figure below. Quadro-control® chambers and extensions are adapted to the structure. Specific Quadro-control® chamber can be made. The openings of the passages can be made in advance or by our technical service at the time of connection on-site. 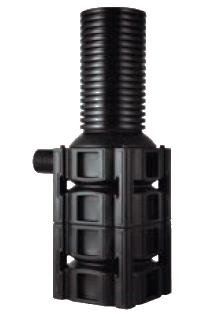 1 - Quadro-control 2, inlet DN 200 at the shaft body, top → (or bottom), straight tunnel connection →, extension pipe without inlet. 3 - Quadro-control 2 project shaft, inlet DN 300 (400, 500) at the shaft body ← , 'straight' tunnel connection, ← extension pipe without inlet. 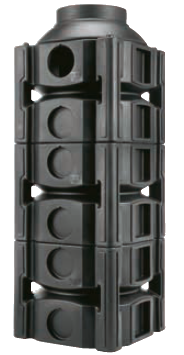 Note : The Quadro-control manhole is delivered ready-to-assemble and in the project’s configuration. Order form here.